Digital Marketing is any form of marketing happening online. Even your website can be considered a piece of the digital marketing “pie”. Social media, email campaigns, SEO AdWords and any other method of online advertising are different digital channels aiming to reach consumers. Digital marketing is indeed an effective way to promote your business, product and services, gain more exposure and attract potential customers. As social media become an indispensable part of our everyday lives, the number of companies and individuals joining the different social media platforms like Facebook, Twitter, Google + and etc is rapidly growing. In Cyprus, 60% of the companies are using social media to gain exposure and advertise their products. Our social media services will help you promote your brand and increase your followers gaining more traffic to your website. The aim is to convert this traffic into new leads and therefore new customers. Having a SEO optimised website, combined with active social media accounts is definitely a winning advertising method. Google AdWords is the biggest advertising network. We can create campaigns targeting specific audience in specific locations. Based on the quality score of your ad groups, it defines how often your ads will appear and how much the clicks will cost you. The Quality Score depends on the quality of your landing page content, the cost per click and the relevance of your ads. There are different ad formats you can use in the campaigns to reach hundreds of potential customers. The Google Display Network can help you reach people in different websites of your choice that are relevant to your niche. The main difference from a text ad is that you can use a banner image. You can create a ‘video ad campaign’ by using ‘video ad’ to engage in different ways on YouTube and across video partner sites. With a video you can target specific viewers watching videos relevant to your product. Marketing trends pop up here and there. 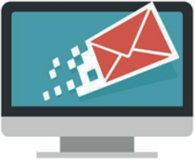 Email however, remains a stable tool for marketers. Indeed, email marketing in Cyprus is a very powerful tool. An amazing fact is that there are 3 times more email accounts than Facebook and Twitter combined. If you think about it, any action you take online, like registering to an online shop or social platform, it requires having an email account. Are you going to provide support and services? Do you want to interact with your subscribers and built a continuous relationship with them? Our ultimate goal is to generate more leads. Email campaigns can definitely increase the chances of getting more clicks from the subscribers than any other type of a campaign. Another great advantage is that email is highly measurable. For instance, we can easily track the number of bounces, clicks, forwards, unsubscribed users and more. Ready for an effective digital marketing campaign?